Judith Sephuma is a South African jazz and Afro-pop singer who shot to stardom with her debut album in 2001, the critically-acclaimed "A Cry, A Smile, A Dance". She was one of the celebrity contestants on the fifth season of the SABC2 reality dance competition Strictly Come Dancing, from September to October, 2008. Her professional dance partner was Eksteen Traut. Born and raised in Polokwane (formerly Pietersburg) in South Africa's Limpopo Province, Judith knew that she wanted to be a singer from an early age. After matriculating at Khagiso High School, she attended Johannesburg's legendary FUBA Academy music school in 1993, where she received her Grade 5 Music Diploma. The following year she reached the finals of two major talent searches: the Shell Road to Fame and SABC1's Jam Alley Search for Talent. That same year (1994) she enrolled at the University of Cape Town to study a Performer's Diploma in Jazz, graduating in 1997. Two years later, in 1999, she gained her Honours Degree in Jazz Performance, majoring in Jazz Singing, under Professor Mike Campbell. While studying Jazz singing, she was also classically trained by Virginia Davids for five years. During her years in Cape Town she performed with numerous bands and solo artists. She sang at Thabo Mbeki's inauguration in 1999 (at the invitation of jazz great Jimmy Dludlu). She finally won a major award in June 1999 for Best Jazz Vocalist at the Old Mutual Jazz Into The Future competition and she was signed to (then) BMG Africa’s imprint, Giant Steps, shortly afterwards. At the North Sea Jazz Festival in Cape Town in 2000, Judith formed her own backing band and performed under her own name and in 2001 she recorded her debut, A Smile, A Cry, A Dance. She released her second album, New Beginnings in 2005. She won three SAMA awards the following year (South Africa's highest music honour) for the album, including the Best Female Artist and Best Jazz Vocal Album categories. In August 2008 she released her third solo album, Change is Here. In 2012 she was announced as one of the seven choirmasters for the Mzansi Magic reality competition Clash of the Choirs South Africa, which aired in 2013. She mentored the choirs from Limpopo. 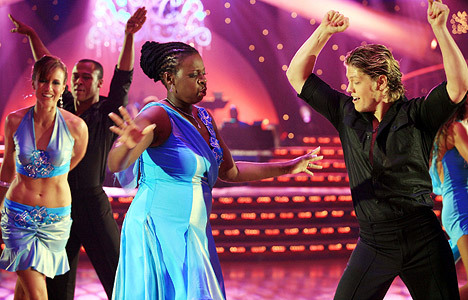 Judith was one of the 10 celebrity contestants in the fifth season of SABC2's Strictly Come Dancing reality competition, in 2008. Her coach and partner was Eksteen Traut. The first two weeks of the competition were non-elimination rounds, with the judges scoring dances by the male celebrities in Week 1 and the female celebrities in Week 2. 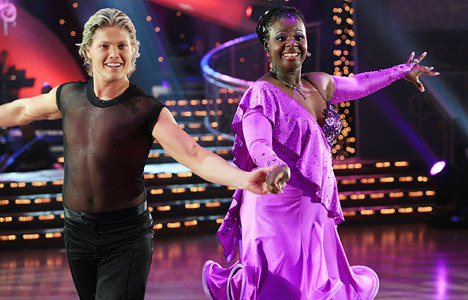 In Episode 3 - the first elimination episode - Eksteen and Judith performed the Rumba, scoring 20/40 from the judges, which placed them in a tie for second-last place with Lebo "Shugasmakx" Mothibe and his partner Seipati Nthoesane. After the round of viewer voting they were placed in the bottom two and had to perform in a dance-off with Shugasmakx and Seipati. The judges voted unanimously to save Judith, and Shugasmakx and Seipati were sent home. 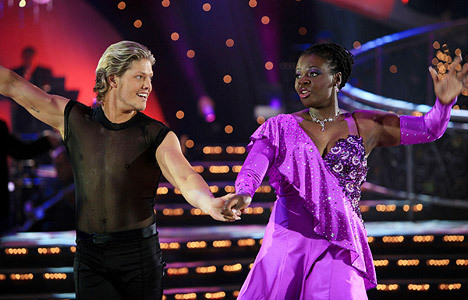 In Episode 4 Judith and Eksteen performed a James Bond-inspired Tango but were criticised for poor timing, scoring 23/40, which tied them in last place with Gugu Zulu and Hayley Bennett. After viewer voting the same two couples ended up in the dance-off. The judges were split in their decision as to which celebrity to save - Salome Sechele voted to keep Judith on the show, but she was outnumbered by Tyrone Watkins, Dave Campbell and Lilian Phororo, who all voted to keep Gugu in the competition. Judith and Eksteen thus became the second couple to be eliminated from the show, on Thursday 23 October 2008.